juniors, adults, or vintage riders, amateurs or professionals, including A DU member volunteers, committee members, and board members. 2. Must be a current member in good standing of Austin Dressage Unlimited. In addition, applicant must have been an ADU member for at least 1 previous year as well. 3. Must be a Graduate of the ADU - University program, or have served as an ADU University mentor in a past year. 4. Must have a background of attending previous ADU dressage educational events. The more ADU event attendance, the stronger the candidate for the ADU scholarship. 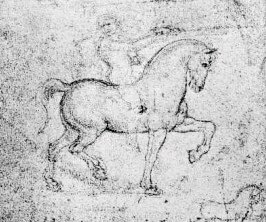 Attendance at non - ADU dressage educational events will be considered in addition. 5. Must have a background of volunteerism for ADU. This includes volunteering on at least 1 ADU committee. The more ADU volunteerism, the stronger the candidate for the ADU scholarship. Volunteerism for non - ADU dressage related events will be considered in addition. 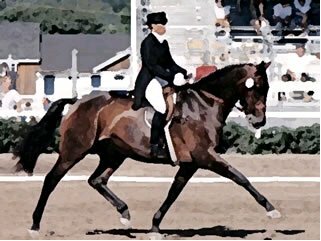 Dressage clinic or dressage related educational/training program given by a USDF/USEF judge, USDF/USEF technical delegate, USDF Certified Instructor, USDF “L” Program graduate, USDF Gold or Silver Medalist. 2. Scholarship winner must receive ADU Scholarship Committee pre-approval for the use of this scholarship at a specific dressage educational event, prior to the event occurring. 3. Scholarship monies will not be awarded until after successful completion of attendance at the approved dressage educational event, with proof of completed attendance and the submission to ADU of the required post report. 4. Scholarship winner must write a post report article about their educational experience for which the scholarship was used, and submit it to the ADU Scholarship Committee within 30 days of the event. 6. Scholarship must be used within 1 year of the time it is awarded, and may not be carried over past 1 year. 2. Scholarships may be applied for at any time of year. ADU Scholarship Committee will meet a minimum of 2 times a year (Jan & July) to review all applications received up to that point. Scholarship Committee may award "0" scholarships, or may award more than 1 scholarship at each of these meetings, as they deem fit. 3. Not all allotted scholarships may be awarded in a single year if Scholarship Committee does not deem enough applicants meeting minimum eligibility. Determination of eligibility is at the sole discretion of the ADU Scholarship Committee. 4. An ADU member may only be awarded a scholarship once per 12 month period. Once awarded a scholarship in a given year, applicant may apply again another year. However, priority for subsequent years will be given to eligible applicants who have not received a scholarship before.